Demi Lovato’s representative has spoken out about her overdose and subsequent hospitalisation. Demi was taken to a hospital in Los Angeles, from her Hollywood Hills home, where she was treated for a drug overdose on Tuesday, (July 24). 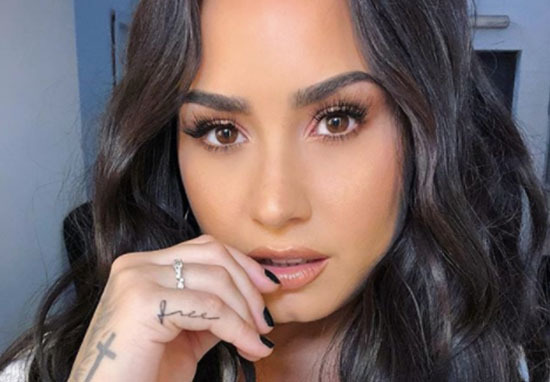 Lovato has battled substance abuse on and off since she was a teenager, but had remained sober for the last six years. To the ones who never left me, we’ve been down this road before / I’m so sorry, I’m not sober anymore. In June 2018, Demi cancelled her concert at London’s O2 arena, mere hours before she was due to go on stage. Demi’s representative has now confirmed the 25-year-old singer is conscious and surrounded by her family. Demi is awake and with her family, who want to express thanks to everyone for the love, prayers and support. Some of the information being reported is incorrect and they respectfully ask for privacy and not speculation as her health and recovery is the most important thing right now. People stopped wanting to work with her, and she pushed away people who actually had her best interest in mind. Since the news broke about her hospitalisation, a number of stars have given their support to Demi. We should all wrap our arms of love around Demi Lovato. I am so happy you’re alive. Thank God. If I know my monsters as well as I believe I do, we all wish you self-compassion and inner peace. And may you receive the love so many have for you. #ImConfidentInDemi Demi, I love you. Sending love and prayers to Demi Lovato ? Many of those who’ve struggled with addiction have found Demi’s music to be of comfort over the years; admiring her openness regarding her personal struggles. In the 2017 documentary, Simply Complicated, Demi revealed she’d first tried cocaine at the age of 17. She first entered rehab in 2010. I felt out of control the first time I did it. My dad was an addict and an alcoholic. Guess I always searched for what he found in drugs and alcohol because it fulfilled him and he chose that over a family. Our thoughts are with Demi Lovato and her family at this difficult time.